Oh yes, you can have something that looks like this. Congrats? 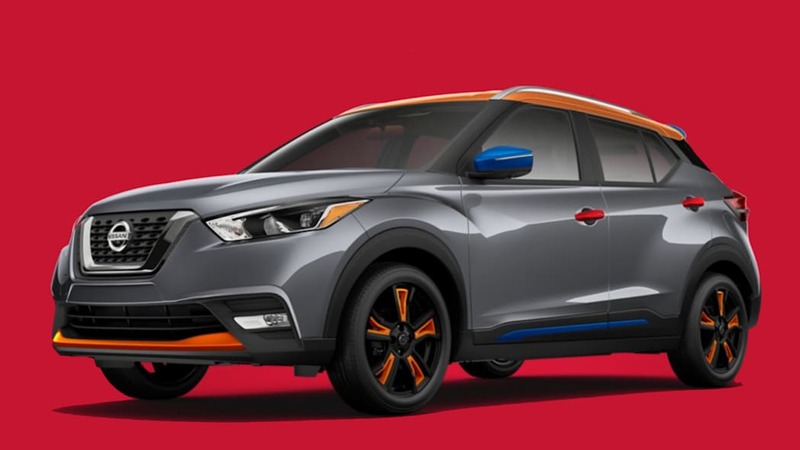 The 2018 Nissan Kicks is coming to market with more than just constrasting roof options. 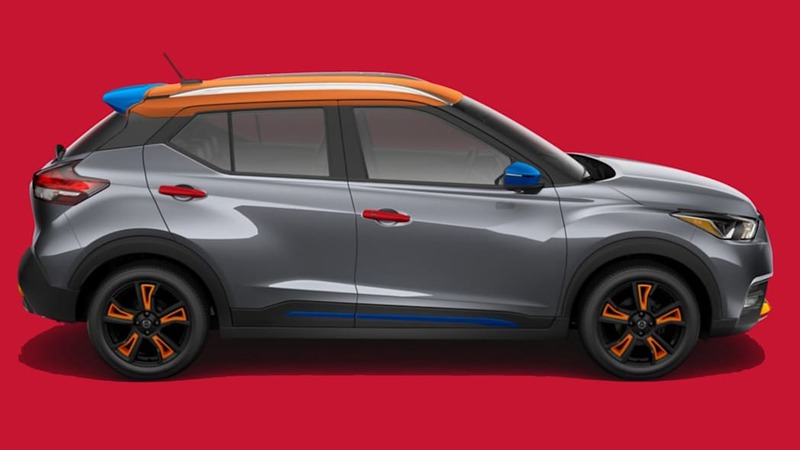 It's also coming with Nissan's "Color Studio" line of parts. Basically, the company will sell a variety of interior and exterior parts in different colors to mix and match to your heart's content. 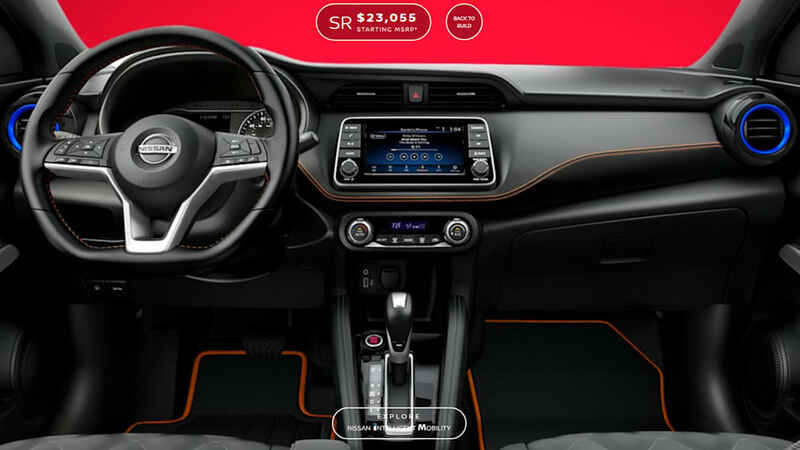 It's very much like what the company offered with the predecessor to the Kicks, the Juke, and even the Versa Note for a time. On the Kicks, parts will be available in white, black, blue, red and orange. And yes, you can mix and match those colors to create something like what you see above. We know because we created that up there. Sorry world. Based on the preview video above, at least the red and blue colors appear to be metallic. Parts that can be swapped out on the outside include trim on the front and rear bumpers, side skirts, spoiler, door handles, mirror and trim on the hatch and doors. There are also black 17-inch wheels that can house colored inserts, but it's only available on SV and SR trim levels (pictured). Inside, parts include the mirror, vent rings, door sills and floor mats. 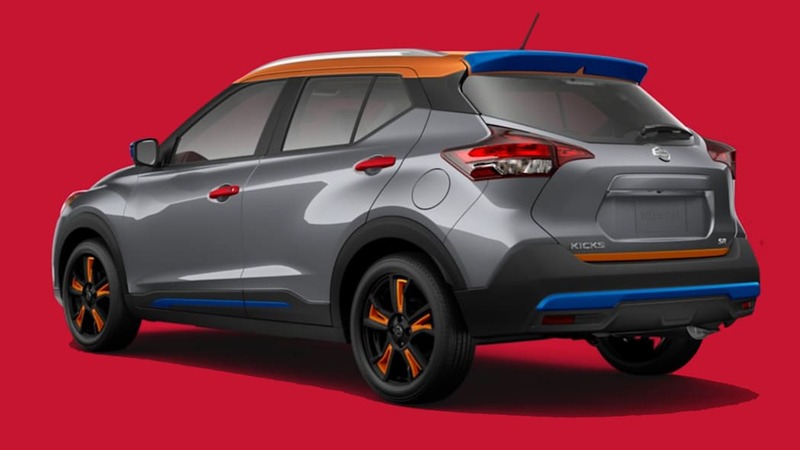 Nissan will sell the parts individually for the owner to install, or they can be installed by the dealer. The company notes that the price of parts and installation can be incorporated into the price of the car and the payments. 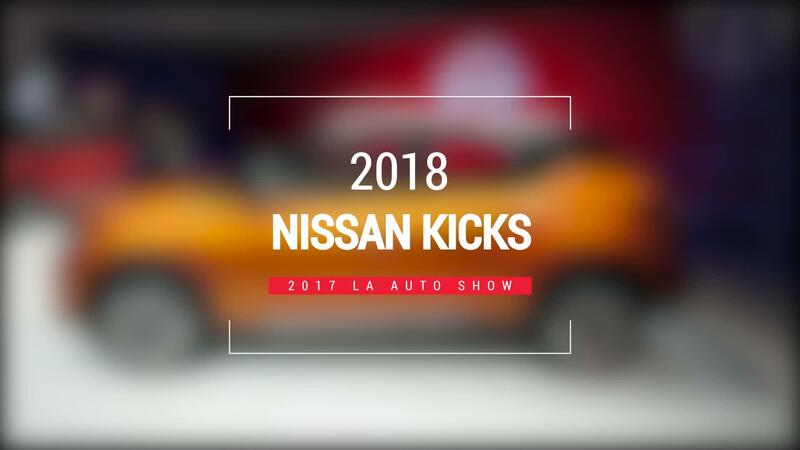 Prices for the parts can be found below or in Nissan's Kicks Color Studio configuration tool. There you can mix and match parts to see how they look, and learn how much all of your customizing will cost. Hopefully you'll be less tacky than we were. Or perhaps, you'll be more tacky. We'd happily be bested. Note that the price only shows the cost of the parts, not the cost of labor if your dealer installs them.